How satan Stops Our Prayers. I would like to share with you part of a testimony of a saved person who once served the devil. When I heard him give his testimony it so challenged me I did not want to believe it. I had to fast before the Lord for ten days, asking Him, "Lord, is this true?" It was at that time the Lord began to teach me the things that take place in the spiritual realm when we pray. This man was born after his parents had dedicated themselves to lucifer. When he was still in the womb, they performed many rituals to dedicate him to the service of lucifer. When he was four years old, he began to exercise his spiritual power, and his parents began to fear him. When he was six years old, his father brought him to some witches for them to train him. And by the time he was ten years old, he was doing tremendous exploits for the kingdom of the devil. He was feared by the common witches. He was still a young boy, but he was so terrible in the things he did. He grew to be a young man in his twenties with a lot of blood on his hands. He killed at will. He had the ability to leave his body through transcendental meditation. And he could levitate; at times his body would rise off the ground and hang in midair. Sometimes he would go into a trance and leave his body; his body would remain behind while he went out into the world, by a practice called “astro-travelling.” He was used by satan to destroy or divide many churches, and to ruin many pastors. One day, he was assigned to destroy a church that was full of prayer. There had been much division in this church, and much confusion. He began to work against it, but at that time, the pastor called a fast for the whole church. As the church began to fast, there was much repentance and a lot of reconciliation. The people came together and began to pray for the Lord to work in their midst. They continued interceding and crying out to God to have mercy on them and to intervene in their lives. As the days went by, the man came again and again against the church with demon spirits. But a word of prophecy came forth telling the Christians to rise up and wage warfare against the powers of darkness that were attacking the church. So one day, the man left his body in his room to go astro-travelling. He led a powerful force of demonic spirits against the church. Now this is his testimony: His spirit moved through the air over the church and tried to attack it, but there was a covering of light over the church. Suddenly, an army of angels attacked them and fought against them in the air. All the demons fled, but he was arrested by the angels. Yes, arrested by the angels! He found himself being held by about six angels. They brought him through the roof right before the church altar. He just appeared there as the people were praying. They were deep in prayer, engaged in spiritual warfare, binding and breaking and casting out. The pastor was on the platform leading the prayers and the warfare. The Spirit of the Lord spoke to the pastor, "The yoke has been broken, and the victim is there before you. Help him through deliverance." As the pastor opened his eyes, he saw the young man lying there. His body was with him; he was in his body. The young man said that he doesn't know how his body joined him; he had left it back in his house. But there he was in his body. He didn't know how he had entered it; all he knew was that the angel had carried him through the roof. Now these things are difficult to believe. The pastor silenced the church and told them what the Lord had spoken to him, and then asked the young man, "Who are you?" The young man was trembling as the demons began coming out of him. So they prayed for his deliverance, and afterwards he began to share his story. The young man has now come to the Lord, and is an evangelist preaching the gospel. 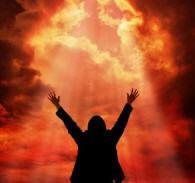 He is being used by the Lord mightily in setting other people free through deliverance. One night, I (John Mulinde) went to a dinner. The only reason I went was that someone had told me about this young man and I was very curious to see him and to find out if his story was true. So I attended the dinner, and in the evening he was given the chance to give his testimony. He spoke about so many things. At times he cried because of the things he had done. As he finished, he made an appeal. There were many pastors in the room. He said, "I appeal to you, pastors. Please teach the people how to pray." The people who don't pray can be taken in anything, in anything by the devil, and there are ways that the enemy can exploit their lives and their prayers. The enemy knows even how to exploit the prayers of those who don't know how to pray. "Teach the people how to use the spiritual armor that God provides." Then he shared how he led expeditions through the air. He would go with other satanic agents and many demon spirits. It was as if they were working a shift, in the same way that you've got to go and work your shift. He had a regular, time that he was required to go and wage war in the heavenlies. He said that in the heavenlies, in the spiritual realm, if the land is covered by a blanket of darkness, the blanket is so dense it is like solid rock. And it covers the whole area. The spirits are able to go on top of and below the blanket, and from there influence the events on earth. When the evil spirits and human satanic agents finish their shifts, they go down to earth at the points of covenant, on water or on land, to refresh their spirits. How do they refresh their spirits? By the sacrifices that people give at these altars. They could be sacrifices in open witchcraft, sacrifices in bloodshed of all types, including abortion, warfare, and human and animal sacrifices. They could be sacrifices of sexual immorality, in which people practice sexual perversions and all kinds of promiscuity. Such acts strengthen these powers. There are many different types of sacrifices. He said that when satanic agents are up in the heavenly realm, and Christians begin to pray on earth, the Christians’ prayers appear to them in three forms. All prayers appear like smoke that is rising toward heaven. Some prayers appear like smoke that drifts along and vanishes in the air. These prayers come from people who have sin in their lives that they are not willing to deal with. Their prayers are very weak; they are blown away and disappear in the air. Another type of prayer is also like smoke. It rises upward until it reaches the rock; it cannot break through the rock. These prayers usually come from people who try to purify themselves, but who lack faith as they pray. They usually ignore the other important aspects that are needed when someone prays. The third type of prayer is like smoke that is filled with fire. As it rises upward, it is so hot that when it reaches the rock, the rock begins to melt like wax. It pierces the rock and goes through. Many times, as people begin to pray, their prayers look like the first type. But as they continue praying, their prayers change and become like the second type of prayer. And as they continue praying, suddenly their prayers ignite into flames. Their prayers become so powerful that they pierce through the rock. Many times evil agents would notice that prayers were changing and coming very close to becoming fire. These agents would then communicate with other spirits on earth and tell them, "Distract that person from prayer. Stop them from praying. Pull them out." Many times Christians yield to these distractions. They are pressing through, repenting and allowing the Word to check their spirit. Their faith is growing. Their prayers are becoming more focused. Then the devil notices that their prayers are gaining strength, and the distractions begin. Telephones ring. Sometimes, in the middle of very, very intense prayer, the telephone rings and you think you can go answer it and then come back and continue praying. However, when you return, you go back to the beginning. And that's what the devil wants. Other kinds of distractions come your way. They may touch your body, bringing pain somewhere. They may make you hungry, causing you to want to go to the kitchen to prepare something to eat. As long as they can get you out of that place, they have defeated you. He said to the pastors, "Teach the people to set aside some time, not just for some casual praying, they can do that the rest of the day. Once a day, they should have a time when they are focusing wholeheartedly on God, without any distractions. If the people persist in this kind of prayer and allow themselves to be inspired in the spirit and to keep going, something happens in the spirit. The fire touches that rock, and it melts. The man said that when the melting begins, it is so hot that no demon spirit can stand it. No human spirit can stand it. They all flee. They all run away. There comes an opening in the spiritual realm. As soon as it appears, all this trouble in prayer stops. The person who is praying on the ground feels like their prayer has suddenly become so smooth, so enjoyable, so powerful and intense. I've discovered that at that moment, we normally lose all awareness of time and other things. Not that we become disorderly; God takes care of our time. But it is as if you lay down everything, and hook up with God. The man said that when the prayers break through, from that moment on there is no resistance at all, and the person praying can continue as long as he wants. There is no resistance to stop him. Then he said that after the person finishes praying, the hole remains open. He said that when people rise from their place of prayer, and move on, the open hole moves along with them. They are no longer operating under the blanket. They are operating under an open heaven. He said that in that state, the devil cannot do what he wants against them. The presence of the Lord is like a pillar from heaven resting on their lives. They are protected, and there is so much power inside the pillar that as they move around, the presence touches other people as well. It discerns what the enemy has done in other people. And as they talk to people who are standing with them, they too come inside the pillar. As long as they stay inside the pillar, all the bondages placed on them by the enemy weaken. So when people who have experienced this spiritual breakthrough share Jesus Christ with sinners, the sinners’ resistance is low. It is very easy to bring them through to salvation. When they pray for the sick or pray about other things, the presence that is with them makes all the difference. The man said that the devil hates such people. He said that in places where prayer regularly breaks through in this way, the presence comes upon that place and does not leave. When people who don't know God enter such a place, all their bondages even suddenly weaken. If someone is willing to minister to them with patience and love, they could easily be pulled through to salvation, not by power nor by might but by the Spirit of God, Who is present. But he said that if no one bothers to reach out to them, they merely come into His presence, feel convicted, and begin to debate whether or not to yield. If they are not pulled through to salvation, when they walk away from that place, their bondages become stronger. And the devil tries his best to prevent them from entering such an environment again. As you can imagine, we all sat staring at the man as he told us the things he used to do and see. Then he told us what they would do to those who broke through in prayer. He said that they marked such people and studied them. They would dig up everything they could find about them, so they knew their weaknesses. When someone overcame them in prayer and broke through, they would communicate with other spirits saying, "Target him with this and this and this. They are his weaknesses." So when the person walks out of his prayer closet, the spirit of prayer is upon him, the presence is with him, his spirit is high, and the joy of the Lord is his strength. However, as he goes the enemy tries to bring things that can distract him from focusing on the Lord. If his weakness is in the area of his temper, the enemy will cause people to do things to make him angry. If he is not sensitive to the Holy Spirit, and he allows himself to lose his temper, he takes his eyes off the Lord. He gets angry; he feels furious. Then after a few minutes, he wants to put it behind him and move forward in the joy of the Lord; however, he doesn't feel joyful anymore. He tries to feel good again, but can’t. Why? While he was yielding to the temptation, they were working hard to close the opening above him. Once they have restored the rock, the presence is cut off. The person does not cease being a child of God. But the extra anointing on his life, the presence that worked apart from his own effort, is cut off. They seek to know his areas of weakness. If his weakness is temptation to commit sexual immorality, the enemy will prepare people or events, something to suddenly arouse his passion to move towards the temptation. And if the man yields to the temptation and opens his mind to receive and entertain its thoughts, when he is through and wants to again move in the anointing, he discovers it is no longer there. You might say, "That's not fair!" Just remember what the Bible says, "Put on the helmet of salvation. Put on the breastplate of righteousness." We normally do not understand the part these weapons play in warfare. But remember what Jesus told us to pray towards the end of the Lord's Prayer, "Lead us not into temptation, but deliver us from the evil one." Every time after you have a breakthrough in prayer, remember you are still a weak human being. Remember you have not yet been made perfect. 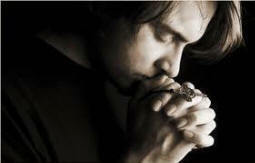 Say to the Lord, "Lord, I've enjoyed this time of prayer, but as I walk out into the world, lead me not into temptation. Don't allow me to walk into the devil's trap. I know the enemy is setting a trap out there. I don't know what form it is going to take, and I know I am still weak in certain areas. Given the right circumstances, I will yield to temptation. Protect me, Lord. When you see me turning the corner where the trap has been set, cause me to turn the other way. Intervene, O Lord. Don't let me move in only my own strength and ability. 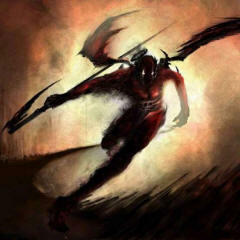 Deliver me from the evil one." God is able to do it. He is able. That is why things happen sometimes. All you need to say is, "Thank you, Jesus." That is why the Apostle Paul wrote in the book of First Thessalonians, "Thank God in everything, for that is the will of God in Christ for you." (1 Thes 5:18) Some things are not good. They are painful, and we wonder why God allows them. But if we only knew what He is saving us from, we would thank Him. When we have learned to trust the Lord, we thank Him in everything. Beloved, I don't know if I should go deeper, because I do not want to start something I cannot finish. But let me just try to go one step further. The man said that when prayer breaks through like that, the answer will always come. He said he did not know of a single case in which prayer broke through and the answer did not come. He said that the answer always came, but that in most cases, it never reached the person who asked for it. Why? 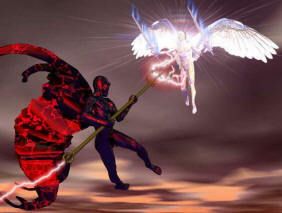 The battle in the heavenlies. He said that after they succeeded in cutting off the open heaven and restoring the rock, they would watch the person and wait because they knew the answer would definitely come. Then the man said something that really shook my faith. It was because of what he shared next that I fasted for ten days asking, “Lord, is this true? Can You prove it to me?” The man said that every Christian has an angel who serves them. Now we know the Bible says that angels are ministering spirits who minister to us. He said that when people pray, the answer comes in the hands of their angel. The angel brings the answer, just like we read in the book of Daniel. Then he said something that was difficult to receive: If the one who prays knows of the spiritual armor and is clothed with it, the answer comes by an angel who is also clothed in full armor. However, if the one who prays doesn't care about being clothed in spiritual armor, their angel comes to them without spiritual armor. When Christians are careless about the kinds of thoughts that enter their minds and do not fight the battle for their minds, their angels come to them without helmets. Whatever spiritual weapon you ignore on earth, your angel does not have it when he serves you. 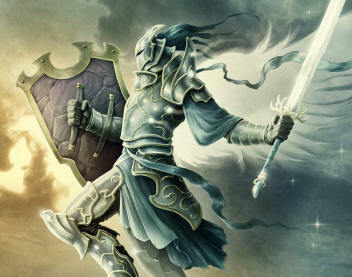 In other words, our spiritual armor is not protecting our physical bodies; it is protecting our spiritual exploits. The man said that as the angel was coming they would watch him to find the areas that were uncovered, and then attack those areas. If he didn’t have a helmet, they would shoot at his head. If he didn’t have a breastplate, they would shoot at his chest. If he didn’t have shoes, they would make a fire, causing him to have to walk through fire. Now, I am just repeating what the man said. Actually, we asked him, "Can angels feel fire?" You know what his reply was? 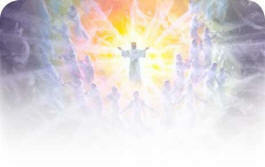 Remember this is the spiritual realm. They are spirits dealing with spirits. The battle is intense. When they overpower an angel of God, the first thing they go after is the answer he is carrying, and they get it from him. They then give it to people who are involved in cults or witchcraft, so people might say, "I got this because of witchcraft." Remember what the Bible says in the book of James? All good things come from God. So where does the devil get the things he gives to his people? Some people who cannot have children go to witch doctors and satanists and become pregnant! Who gave them the baby? Is satan a creator? No! He steals from those who don't pray through to the end. Jesus said, "Pray without ceasing. "(1 Thess 5:17) And then He said, "But when the Son of Man comes, will He find faith?" (Luke 18:8) Will He find you still waiting? Or will you have given up, and the enemy stolen what you prayed for? Then the man said that they were not satisfied with just stealing the answer. They were also interested in detaining the angel. They would start fighting against him. And he said that sometimes they would succeed in holding and binding the angel. He said that when that happens, the Christian on earth becomes a victim as well. They can do anything to that Christian because he is left totally without ministry in the spiritual realm. I asked him, "Do you mean that an angel can be held captive by demonic forces?" The man did not know the Scriptures at the time he was saying all this. He did not know very many verses. He was just sharing his experience. He said that they could not hold the angel very long because as other Christians prayed elsewhere, reinforcements would come and the angels would go free. However, if the Christian responsible did not pray through, he remained a captive. Then the enemy would send his own angel to them as an angel of light. That is how deception comes—false visions and false prophecies, false leading or guidance in the spirit, and the making of all kinds wrong decisions. And many times this person is open to all kinds of attacks and bondages. And I asked the Lord. I left that dinner extremely troubled. I said, "Lord, I don't want to even try to believe this." It takes away all of my confidence, my security. During the ten days that I sought the Lord, the Lord did two things: He not only confirmed the things I had heard, He also opened my mind to understand a lot more of what happens in the spiritual realm that the man could not tell us. And two, He led me to see what we are supposed to do as the things are happening so that we are not defeated, but can overcome. We need to know and really come to terms with three things. First: How to use the weapons of our warfare. The Bible calls them the armor of God. It is not our armor; it is God's armor. When we use it, we allow God to fight on our behalf. Second: Understand the relationship between ministering spirits—angels—and our spiritual lives, and be sensitive to what is happening in our hearts as a leading regarding what needs to be done in the spiritual realm on our behalf. That brings us to the third thing: The Holy Spirit. We should not regard the Holy Spirit as our servant, who is serving us and bringing us things. He does not run back and forth between us and the Father to tell Him what we need. That is the angels’ job. He stands by our side. Doing what? Guiding us, teaching us, leading us, helping us to pray in the right way. And when these things are happening in the spiritual realm, He lets us know. Sometimes He wakes you up in the middle of the night and says, "Pray." But you say, "No! My time has not yet come." And He says, "Pray now!" Why? He sees what is happening in the spiritual realm. Sometimes He says, "Fast tomorrow!" But you say, "Oh, no; I'll start on Monday!" But He understands what is happening in the spiritual realm. We should learn to be sensitive to the Holy Spirit. He guides us in paths of righteousness. Beloved we've got to stop here. Maybe tomorrow morning we will talk about how we can pray through—knowing the battles in the spiritual realm and how we can break through. And how we can maintain our breakthrough once we have achieved it. Once we learn this, it becomes enjoyable. Then we will learn one thing: The battle is not ours; the battle is the Lord’s! Hallelujah! Let's stand up. Look someone in the eye, and think about how many times that person may have missed what God had for him. Join your hands if you can, with two or three people, and tell each other that there's no need for any more defeat! We can overcome! There is enough power to overcome! Jesus has already finished the work." Pray for each other that the Lord will help us to overcome. We should not lose. There is enough grace, enough power, for victory.